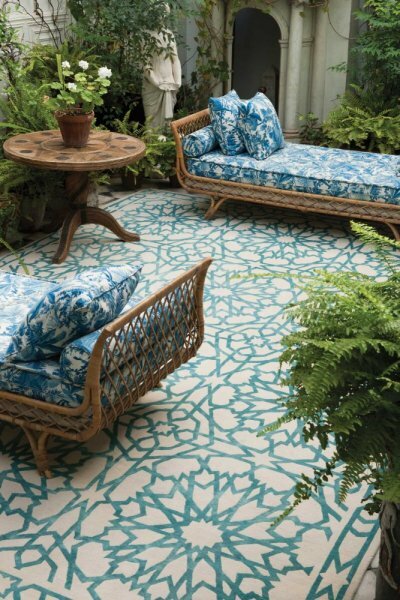 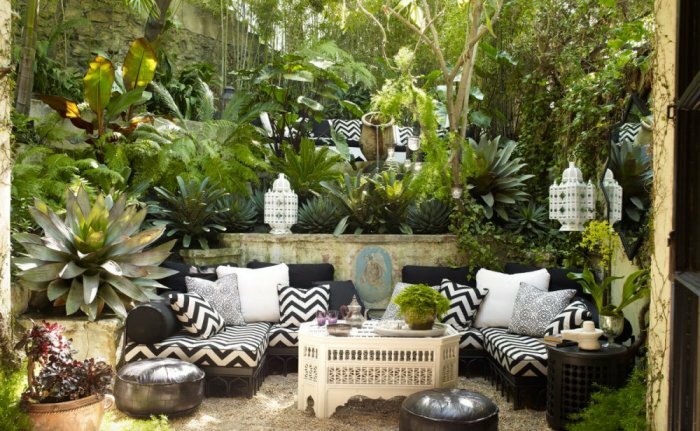 In the months of moderate weather, we always like to sit in the garden, especially during the month of Ramadan during breakfast and later times, where sitting in the garden or terrace and enjoying nature and temperate heat is a beautiful thing. 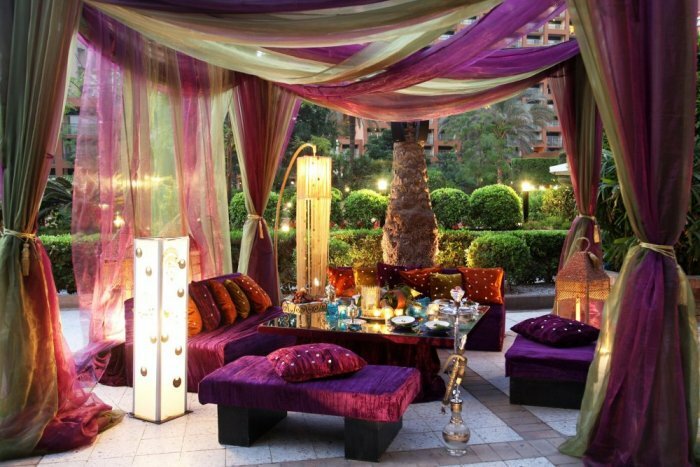 Therefore, many people used to decorate their own gardens with accessories and special decorations that celebrate the month of Ramadan and add a romantic atmosphere to the decorations of the external sessions as we will see in the pictures. 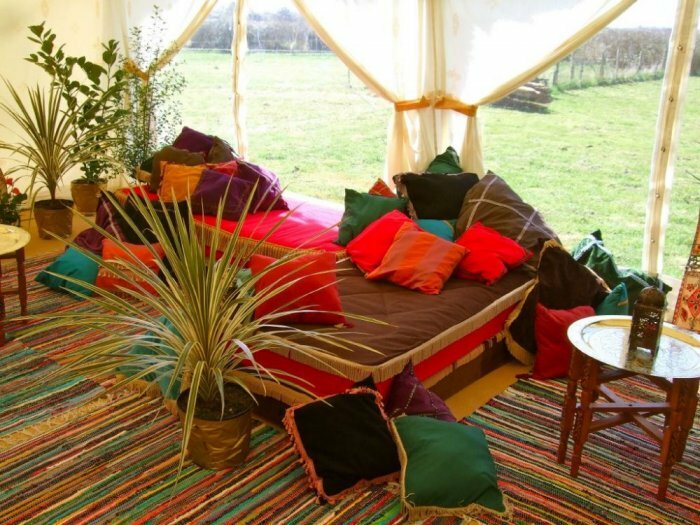 There are of course large tents equipped to receive guests in addition to the small decorations only for the family. 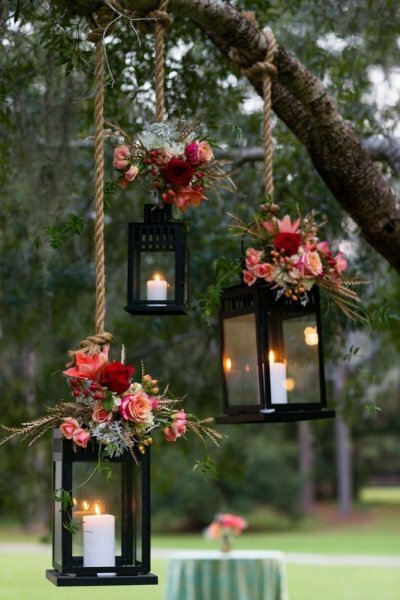 Lanterns: It is essential to connect the month of Ramadan, which can be distributed within the corners and tables and also can be attached to trees or wooden ceilings or tents for lighting and decoration together. 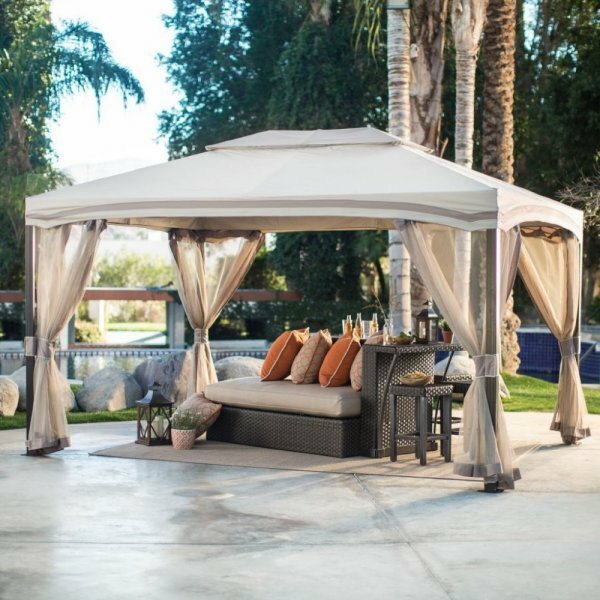 Tents: It is nice to set up small tents that protect from the heat of the sun and also give a wonderful feeling of the atmosphere of Ramadan, if found within the decor of the outside sessions. 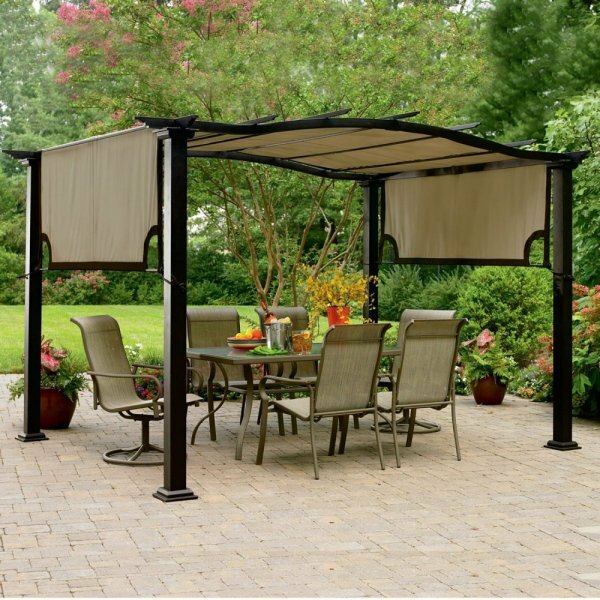 It is possible to set it up from various fabrics and colored or put a wooden position. 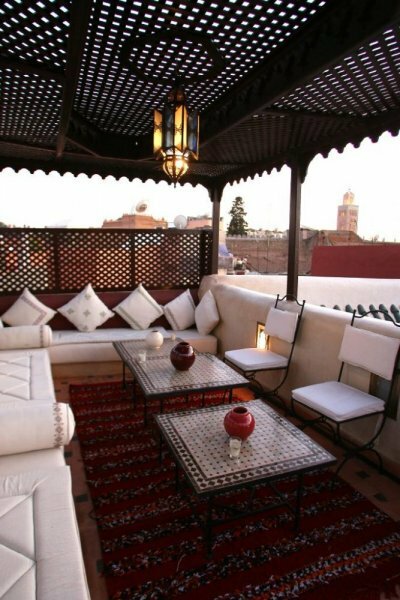 The tables are of an oriental nature, which can be distributed in their Arab designs and their distinctive colors between the decoration of the external sessions. 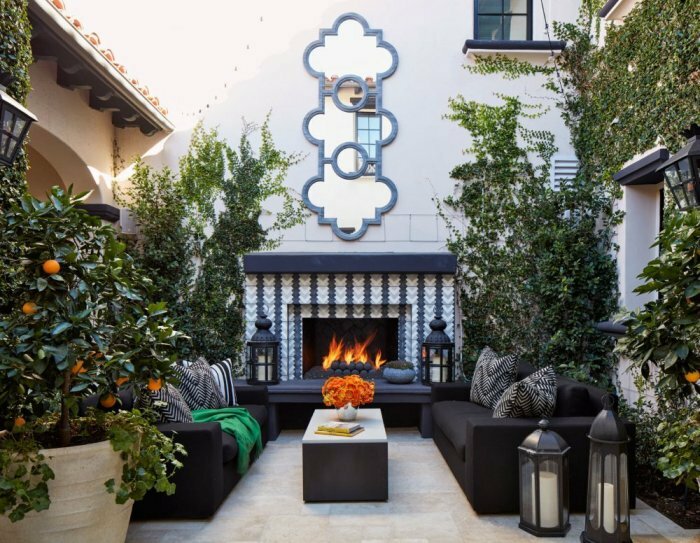 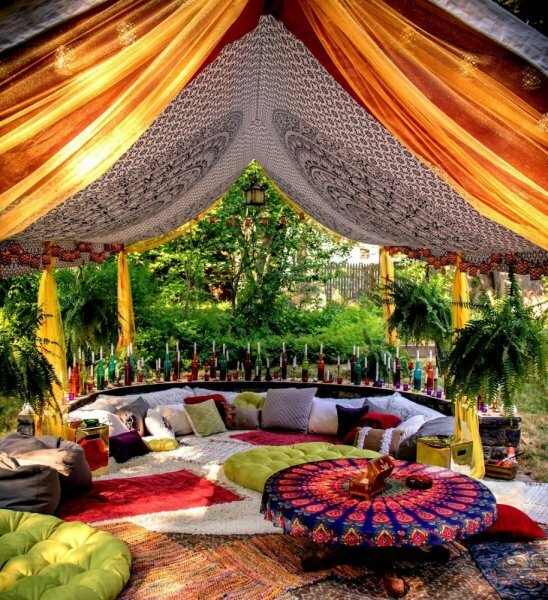 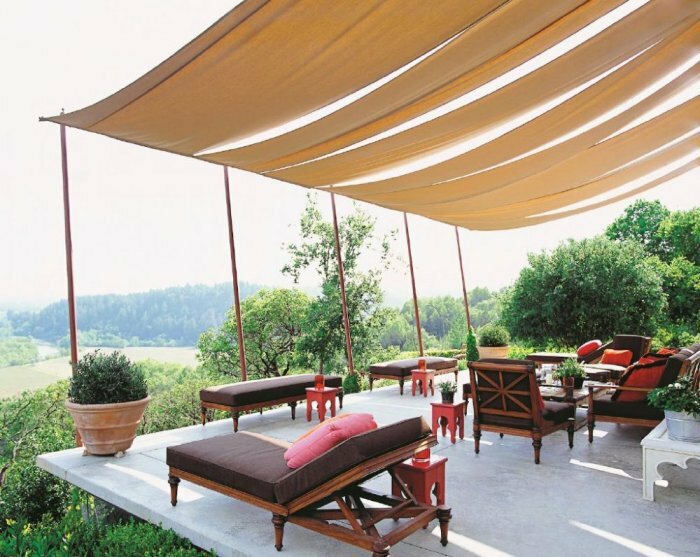 Arab seating: usually with Ramadan tents that depend on sitting on cushions on the ground or the sofa directly on the ground, which calls for rest and relaxation and the consolidation of intimate meetings between family members. 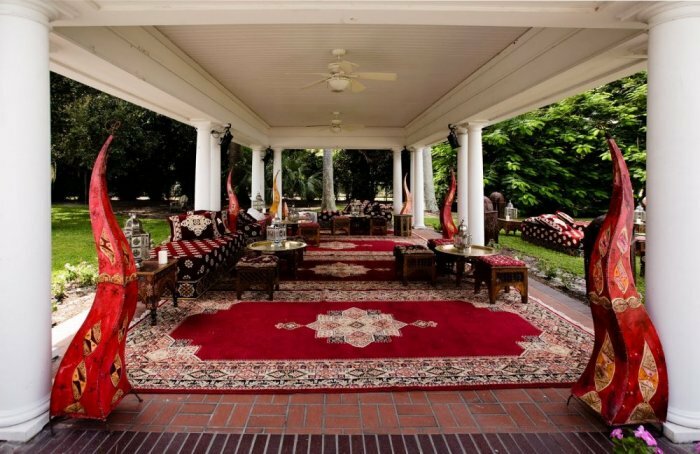 Ramadan tables: which can be adopted within the decoration of the outside sessions and become breakfast and suhur within the gardens of the house to enjoy the atmosphere of Ramadan in nature. 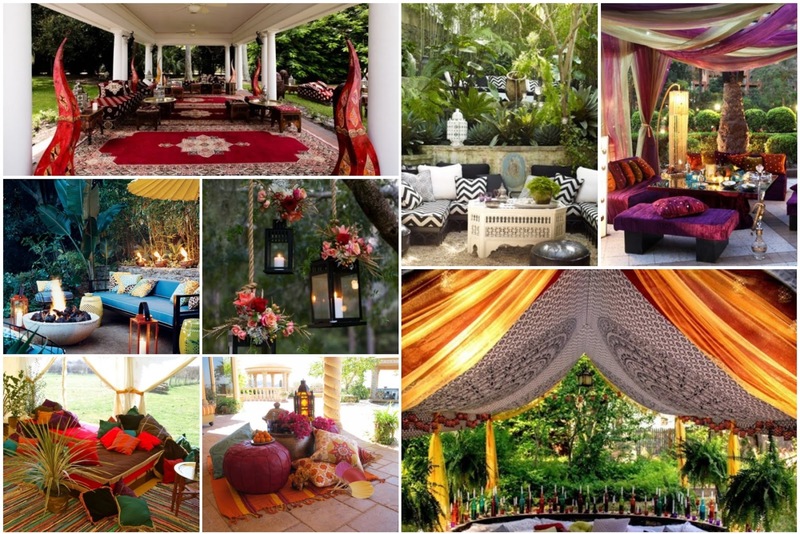 Candles and Arabian carpets: which are very popular accessories in the month of Ramadan. 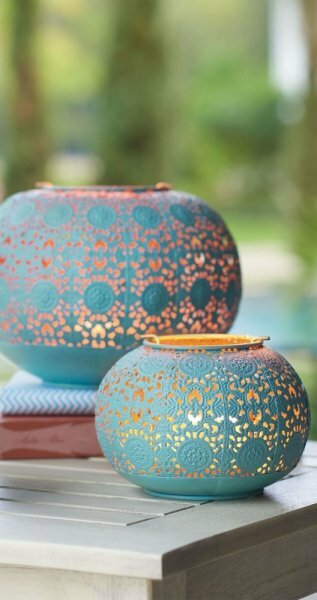 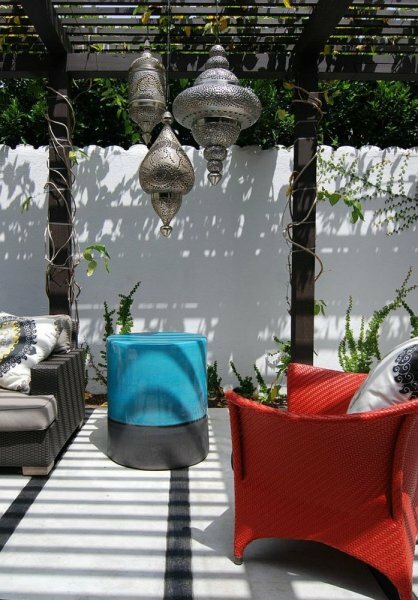 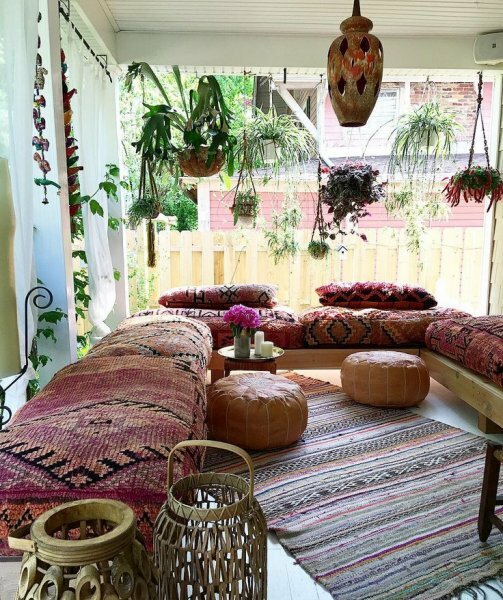 Pillows lying on the floor: soft and simple accessories that can add to the decor of the Outdoor Seating a special touch to the atmosphere of Ramadan. 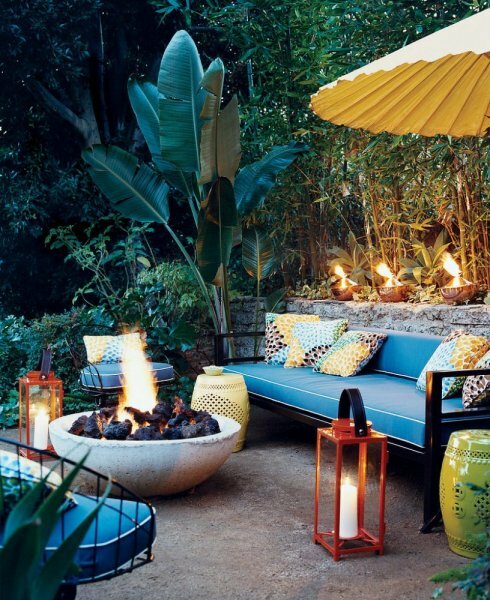 Here are a number of photos to draw from you beautiful ideas for your garden.